civilization and culture of our society. Undoubtedly, this generation is witnessing the rise and widespread use of technology. Growing up as a young person, some of the tools that technology has birthed today were unimaginable. The few that existed seemed complicated and could only be operated by a few individuals whom the community respected enough to allow access to the machines themselves. Today, a gadget that looks complex can be run even by a 5-year-old. There has been a rampant increase in the use of smartphones, computers, and the internet. This rise has consequently brought about a paradigm shift in the civilization and culture of our society. Ten years ago, the primary source of knowledge was school or the library. Much of the information that one could gather came from our teachers. Today, even without going to school, you can use various search engines such as Google, Wikipedia, Yahoo, among others on the internet to access the information on a particular area that of interest. Ten years back, learning could only happen when the learner and the instructor met physically. Today, however, students can take online courses and even proceed to graduate and obtain their certificates at the comfort and convenience of their homes. All that they need is a working internet connection. This digital world has made access to information easy and possible in ways we could not have imagined. Today, social media has turned tables on the traditional physical meetings. Today, business meetings can be attended by people from all over the world without the hassle and cost of travel. My colleagues and I no longer need to meet in coffee shops and restaurants to iron out organizational matters. We can merely chat on through any of the many remote work tools available and decide on important issues. Regardless of the different geographical regions that members of a group may be located at, we can unanimously agree on a particular time, date, and platform on which to meet and sort out team issues. The future of digital technology is bright. With the cost of data and digital devices falling drastically, one can only expect an unprecedented rise in their use. 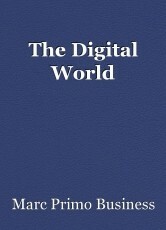 Besides, almost all spheres of our livelihood in one way or the other, depend heavily on these digital gadgets. It's a very interesting article. ----- However, I prefer MY life to be without "Digital Dementia". I never found an absolute "need" for digital devices; and yet, I owned and sold a very successful business - and took early retirement at age 60 (three years ago). Of course, I was NEVER "part of the (now digital) Herd". "Happy Easter" ... or is it? Should I finally return to the States and teach Civics, Government, Human & Civil Rights to America's Kids today? This page was created in 0.4295 seconds.